Travelers are getting through security lines in about 20 minutes at the airport after some tweaks made before Memorial Day Weekend. 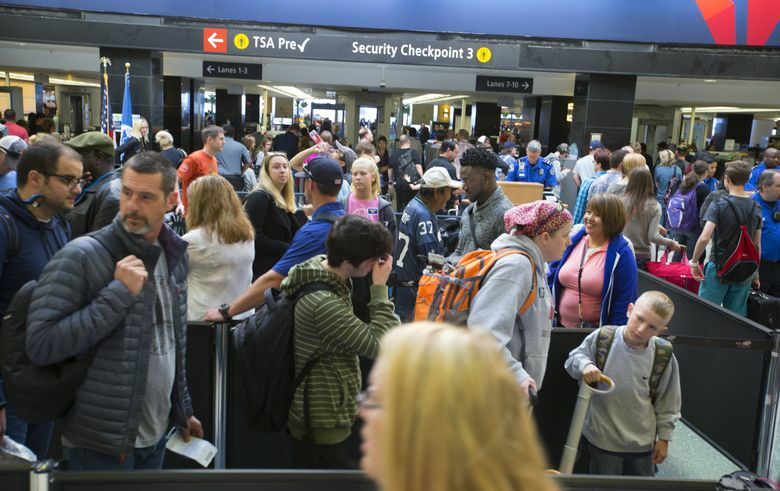 Friday marked the start of the summer vacation season for Seattle-Tacoma International Airport, and TSA officials said they’re as ready as they can be for the inevitable long security lines. “Our goal is 20 minutes or less, and for the most part we’ve achieved that,” said Brian DeRoy, airport spokesman. DeRoy says changes made just before the Memorial Day weekend continue to pay off. While they prepared for about 65,000 travelers Friday, DeRoy said average wait times during morning hours were about 30 minutes and dropped to about 20 minutes as the day went on. One of the biggest sources of help, DeRoy said, are 90 more full-time workers contracted to help TSA screening officers speed things up — by distributing bins or telling passengers to take off their shoes and take out their laptops. That helps officers focus on screening. The lightened load has enabled the airport to open three to four more of the 32 security lanes available for peak travel periods. The contractors were hired by the Port of Seattle Commission, which approved $3.3 million for the new positions. 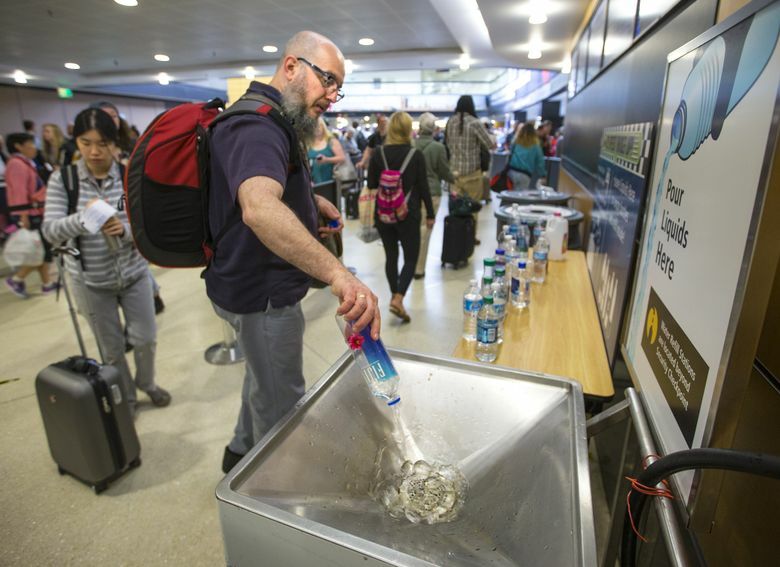 DeRoy also said signage has been increased throughout the airport, including more maps and instructions reminding passengers to pour out liquids. 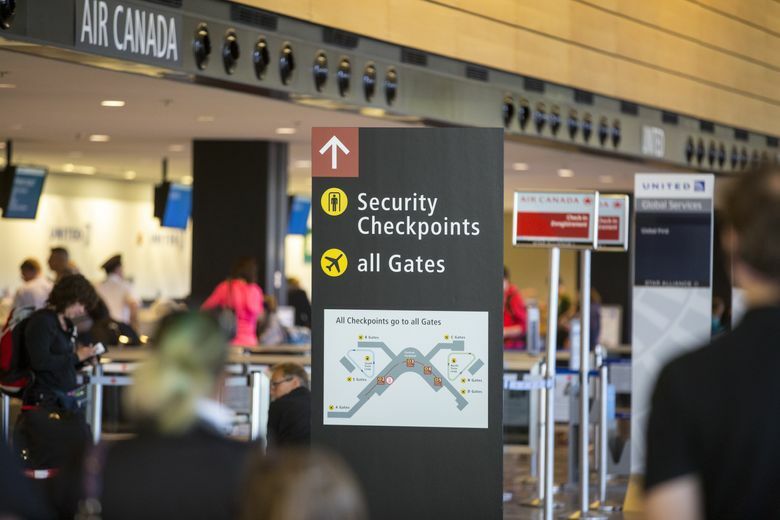 The airport also has what it calls “Pathfinders,” employees whose job it is to guide passengers to keep wait times in each of the four security feeder lines balanced. They’ve just hired four more and now have 14, along with 80 volunteers who also help out. 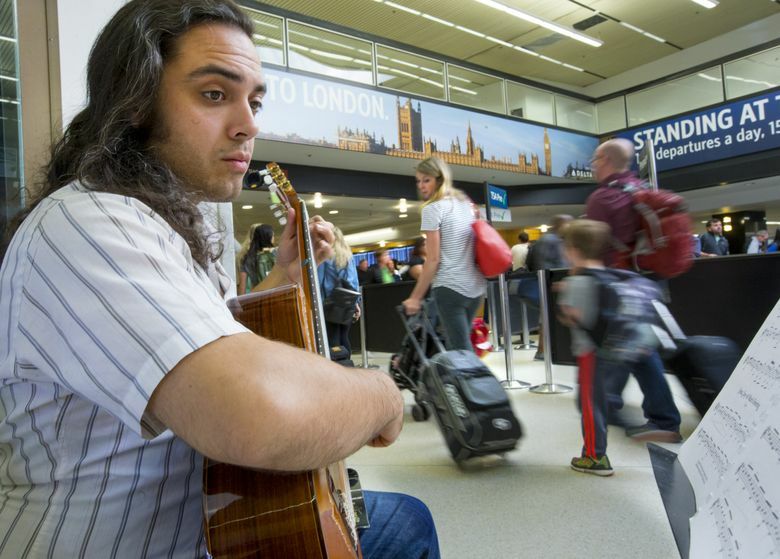 But DeRoy emphasized that the airport’s recent tweaks don’t mean wait times are forever reduced — there always will be cruise passengers or sports teams to congest lines, or that stray water bottle accidentally left at the bottom of a backpack. More than 10,000 people snaked their way through security lines between 8 and 11 a.m. at the airport Thursday, and for many it took only 10 or 20 minutes to get through. Temporarily allowing new TSA security officers to train locally instead of at the Federal Law Enforcement Training Center in Georgia — where there have been major delays and backlogs — has helped, said Jeff Holmgren, the TSA federal security director who oversees operations. 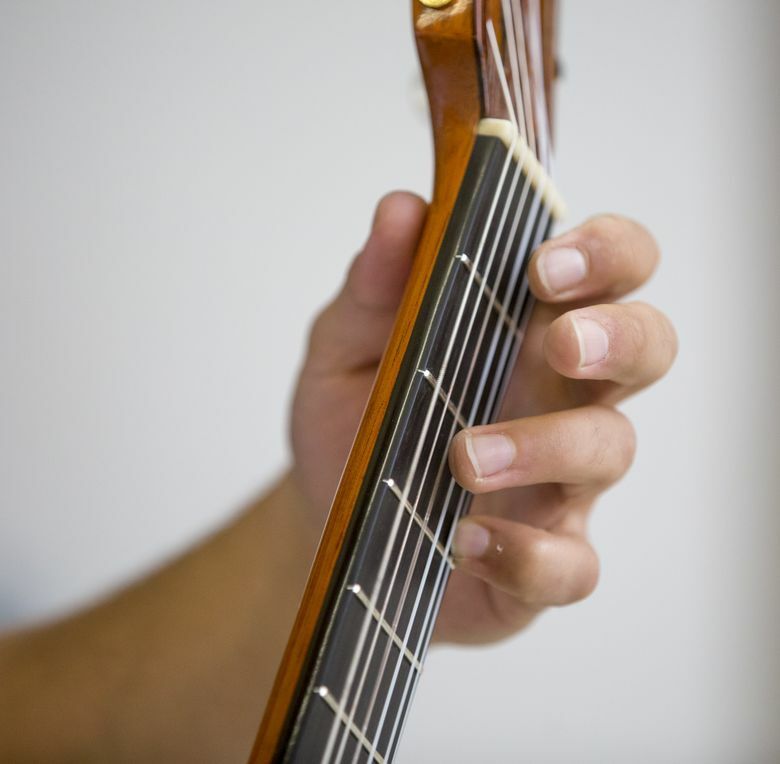 The ability to provide more overtime helps, too, he said. 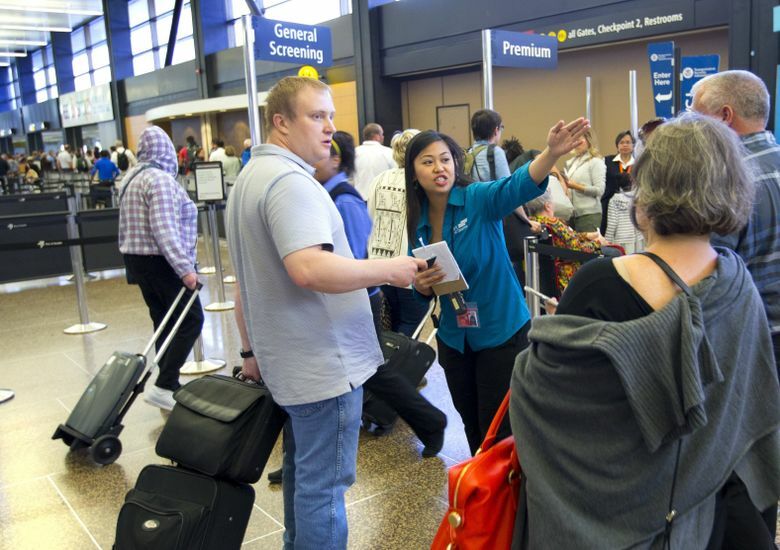 TSA officers are assigned based on passenger volume, and Sea-Tac’s continues to grow. Last year, 42.3 million travelers passed through Sea-Tac’s gates, up from 37.5 million the year before. As one of the fastest growing airports of its size, Sea-Tac has seen more than 17 million so far this year, according to numbers provided by the airport. 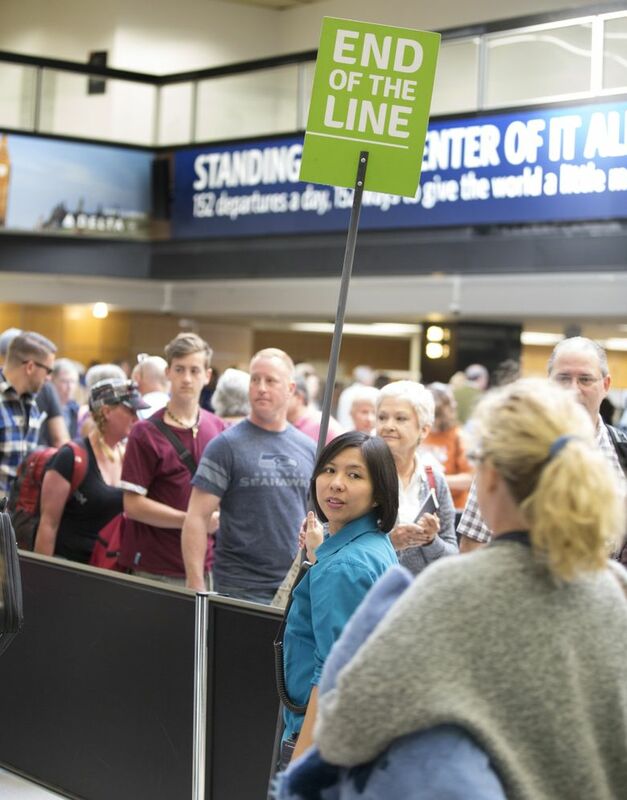 Holmgren also said the airport’s five active passenger-screening K-9 teams — with five more expected by next spring — cuts wait times significantly. DeRoy said the airport plans in the coming months to launch a mobile app and install electronic boards that display wait times at each checkpoint. “The bigger solution is that ultimately, TSA is going to look at staffing and that means bringing in more people and bringing in more K9s as well,” DeRoy said. However, it’s an improvement from last year, when travelers in August said they waited for about an hour. 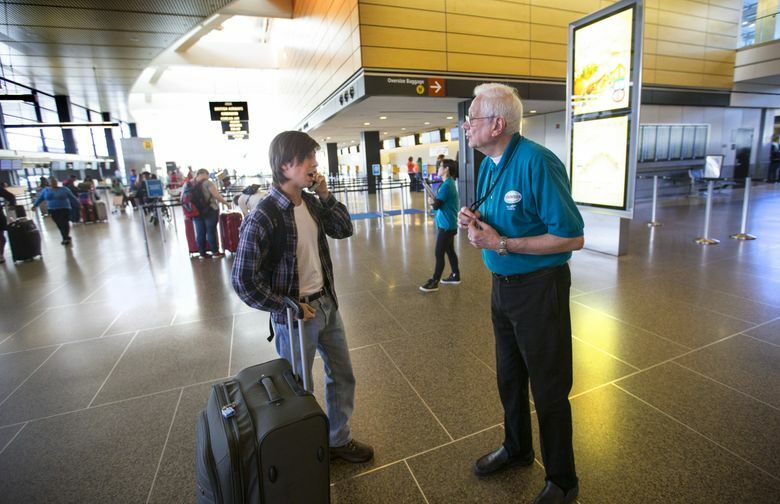 DeRoy said long wait times at airports aren’t exclusive to Sea-Tac and while passengers wait for permanent solutions to unfold at home, they’re appreciating the efforts so far. “I made sure I came two hours ahead, but it’s just for a domestic, straight flight,” said Regina Mooney, 64, of Seattle, who was flying to St. Louis Thursday morning.